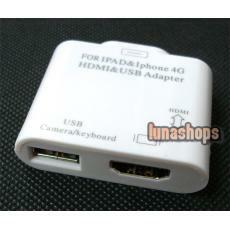 Compatible with iPad, iPad 2, iPhone 4, iTouch/iPod 4. 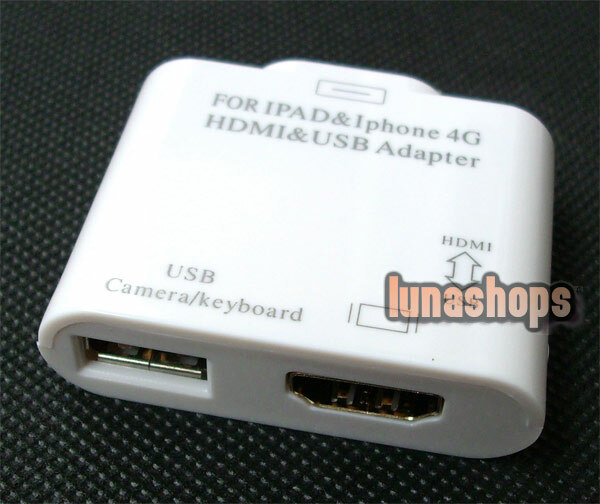 HDMI 1.3a compliant transmitter support up to 1080p. 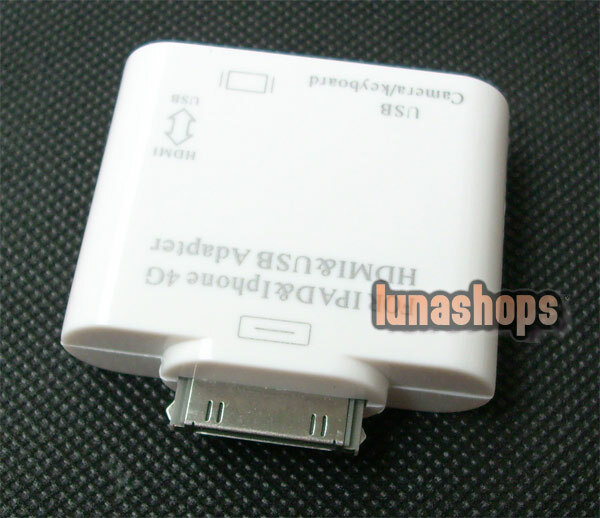 Powered by iPad/iPhone without external power supply. USB Connection Kit, with USB port for Camera/Keyboard. HDMI Adapter, USB Camera Connection Kit also, small, easy to carry. Do not support the movies that were purchased through iTunes or locked with Apple's Fairplay copy protection scheme. Do not support to display internet web pages on TV.